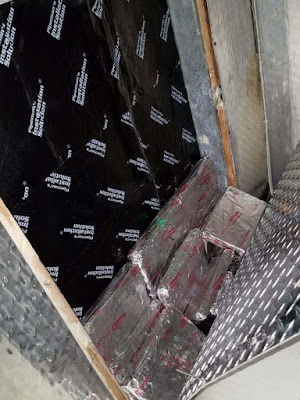 The truck driver, 46-year-old Felipe Genao-Minaya, and his passenger, 52-year-old Nelson Nunez, both from New Jersey, were arrested. 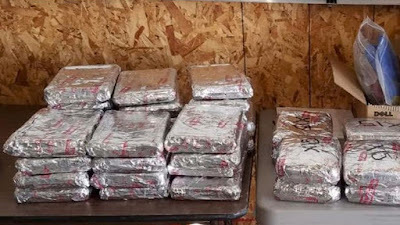 Nebraska state troopers have seized 118 pounds of fentanyl - containing enough lethal doses to kill millions. Cops said that the recent bust was "the largest fentanyl seizure in Nebraska history (by far) and one of the largest ever in the United States." State troopers discovered the shipment last month when conducting a routine traffic stop along Interstate 80 near Kearney. Testing confirmed the substance - all 118 pounds of it - was fentanyl, which would be worth far more than $20 million on the street.